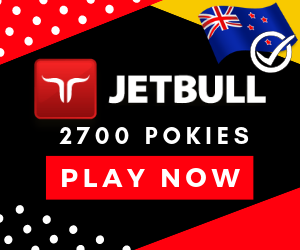 Ainsworth Hotter Than Hot Slots: Take a FREE Pokies Spin Right Here. Hotter Than Hot is an online slot machine game developed by Ainsworth a game developing company. The game has thirty paylines which is not adjustable by the player and it has six slot reels, each reel having three rows along with different variety of symbols representing ancient Egyptians civilization. 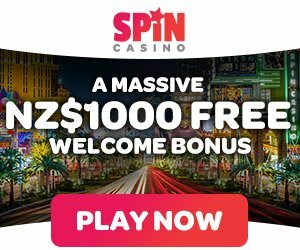 To play and win, the player has to spin the wheel by setting the bet money from €0.01 to €100 per line, and the symbols must fall under any combination of paylines. The wins on all the lines are added together and given as a winning prize to the player. The game has different types of symbol each with unique values, which will be mentioned below. The pyramid symbol acts as an substitute for all other symbols in the game. The king strike symbol appears on slot 6 as a extra bonus with the combination of each symbol. All the combinations should occur along with the king strike in the sixth reel to claim the bonus. The feature paytable also consists of the same symbols as base table, but the values differ as shown below. The game has a combination of thirty paylines as explained below. Payline 1: It is a straight line in the middle of the six reels, starting from the 1st reel and stretching along the 6th reel. Payline 2: It starts at the top of the 1st reel and makes it way along the 6th reel touching all the grids of other reels in the way. Payline 3: It starts from the bottom of the 1st reel and makes it way along the 6th reel touching all the grids of other reels in the way. Payline 4: It begins from the 1st grid of reel one and comes down touching the bottom grid of 3rd reel and again goes up to end in the 6th reel. It resembles the letter “V”. Payline 5: It is the inverted form of fourth payline, that resembles inverted letter “V”. Payline 6: It is same as the payline 4 but one grid low, where it ends before touching the bottom grid. Payline 7: It is the inverted form of payline 6, it ends before touching the top grid. Payline 6 and 7 touch each other in the middle grid of 3rd reel. Payline 8: Is same as payline 3, but it is start one grid above the bottom grid. Payline 9: is the inverted form of payline 8, which start from the same grid as 8th payline. Payline 10: It is the same as 8th payline, that starts one grid above payline 8. Payline 11: Starts from the bottom grid of reel one passes along the middle grid of reel 2,3 and 4 bends down to touch the bottom grid of 5th reel and enters the 6th reel. Payline 12: It appears in a zigzag manner starting from the top of reel one, touching the middle part of reel two, back to the bottom grid of reel 3 and so on. Finally enters the 6th grid. Payline 13: It is the inverted form of payline 12. Payline 14: Is same as the inverted form of payline 12, which is 13th payline. Payline 15: Is the same as payline 12 place one grid below the 12th payline. Payline 16: It begins at the middle grid passing through 1st and 2nd reel, slightly inclined to the top to touch the top grid of 3rd reel again coming down traveling the middle grid to enter the 6th reel. Payline 17: It is the inverted form of payline 16. Payline 18: It begins from the first grid of reel one and follows the borders of all the reels in a up and down manner before entering the 6th grid. Payline 19: It is the inverted form of payline 18. Payline 20: It is same as payline 19, but kept on grid above the 19th payline. Payline 21: Starts from the middle of 1st reel bends down entering the bottom of 2, 3 and 4th reel and enters the 6th reel touching the middle grid of 5th reel. Payline 22: It begins at the top grid of 1st reel, bend down after reaching the 3rd reel touching the bottom and again climbs up touching the top grid of reel 4 and 5 before entering the 6th reel. Payline 24: It is same as 21st payline, starting from one grid above the 21st payline. Payline 25: It is the inverted form of 24th payline. Payline 26: Starts from the top of 1st reel enters into the reels 2, 3 and 4 in a cross way touching the bottoms before entering the 6th reel. Payline 27: It is the inverted form of 26th payline. Payline 28: It begins like the payline 26 but cuts in the middle part and enters into 6th reel touching 2, 3 and 4th reels. Payline 29: It start touching the top part of reels 1 and 2 and ends touching the bottom part of reel 3 and 5 before ending at the 6th reel. Payline 30: It is the inverted form of payline 29. This is a great pokies game overall, if you like the Queen of the Nile slot then this one you will enjoy. We rate this free Ainsworth game a big 8 from 10.